Last week, I mentioned that I've been struggling with decorating the bookshelf in my living room. Then the first day of fall hit and I was able to add a bunch of my fall decor to it and I feel much better about the feel of the overall shelf. But my brain keeps going to after the holidays are over and all that decor is gone. I still need a few items to fill in the missing spaces. I'm still planning to scour my favorite home decor stores but I've also realized that I need to start taping into the online market way more than I do. I hardly ever buy things online. I have no idea why, but I just like the feel of buying stuff in the store and bring it home more than having to wait for it to come in the mail. Plus if I buy online and I don't like the item, I have to go to the post office to send it back and that's a pain. However, I do realize that there are some amazing websites with some great decor items that are out there and waiting for me to find. And wouldn't you know it, one of those sites has actually found me! So today I bring you a short little guide to one of my new favorite websites! Before hearing from the team at Uncommon Goods, I had never heard of their website. But I am so glad they are now on my radar because they have some really cool stuff. A lot of which I think would work perfectly in my apartment. What I love is how unique their merchandise is. Most of the items on their website are provided by artists and smaller manufacturers so you're not likely to find them in the stores you visit on a weekly basis. In addition they work with those artists and manufacturers to make sure the products they create are made in a socially and environmentally conscious way. You can read all about their mission here. I'm excited to share a few of my favorite products from their website. These are all things that I think would add a little something extra and personal to my little space. A lot of them incorporate my love of travel too. I've been trying to find a way to incorporate that into my apartment and Uncommon Goods has a ton of great stuff! Here are few of my favorites! Here are a few more of my favorites that aren't necessarily travel themed. The other thing I LOVE about Uncommon Goods is the fact that they really cater to the gift market. 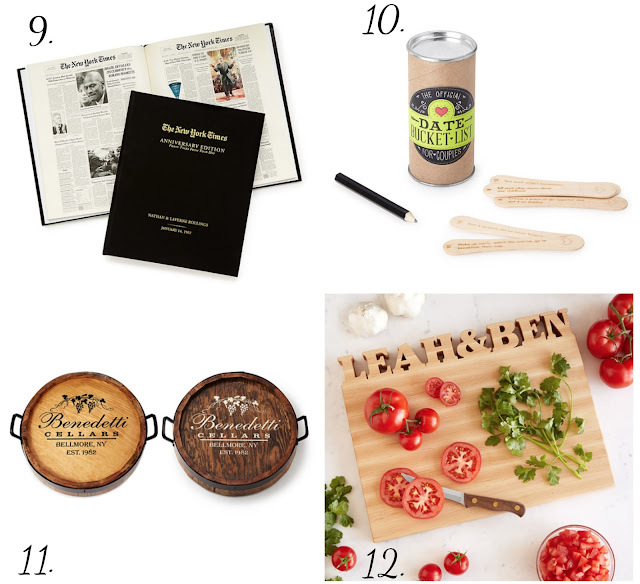 I'm in the phase of life where all of my friends are either getting married, celebrating anniversaries, or having babies and Uncommon Goods is chalk full of fabulous unique gift ideas for two of those types of friends. I seriously spent about 2 hours browsing the website trying to decide which of their wedding gifts would be perfect for two sets of friends who are getting married this fall. Then I found out that they also do personalized wedding gifts and the decision was even more difficult. I was able to settle on two items that I think both of my friends are going to absolutely love and I am super excited for them to get them. I want to share a few of my favorites because I think these would be good for just about anyone that's getting married! 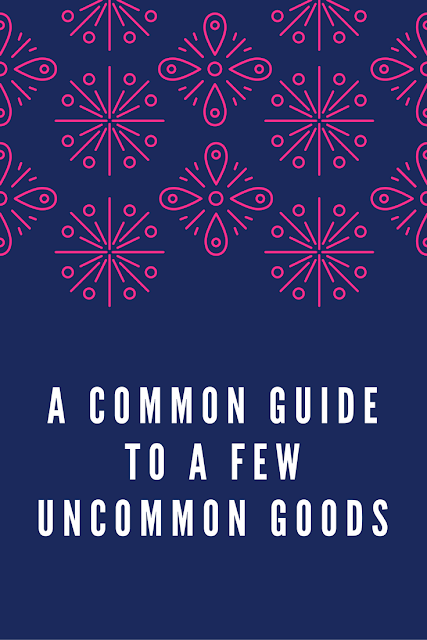 One of the best parts about Uncommon Goods is that their website has something that will fit everyone's budget. The items above range from $18 to $150. The personalized items are going to be pricier but are so fun and cute that I think they're worth it. Now to browse through more of the wedding gifts check out their collection here. If you're interested in the personalized wedding gifts click here. You can also browse their anniversary and bridal shower collections here and here. I am so glad I was introduce to the Uncommon Goods website. I know it's going to be a site I come back to when I need to uniquely uncommon gift for a friend or family. And even when I need a little something uncommon for myself! 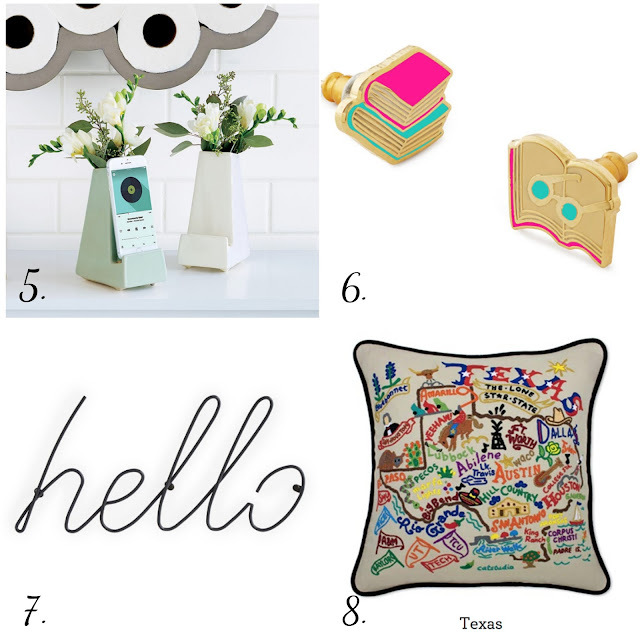 This was a sponsored post written by me on behalf of Uncommon Goods. However, all thoughts and opinions are my own. Just checked out their website and I'm pretty sure I'm obsessed. I'm pretty sure I'm about to buy one of those scratch off travel maps! oh my goodness!!! LOVE LOVE LOVE the travel themed stuff, especially 1, 2 and 3. the hello coat hook is super cute too. definitely checking out this site! This could be dangerous-SO many adorable things. Obviously I'm partial to all the travel things too! 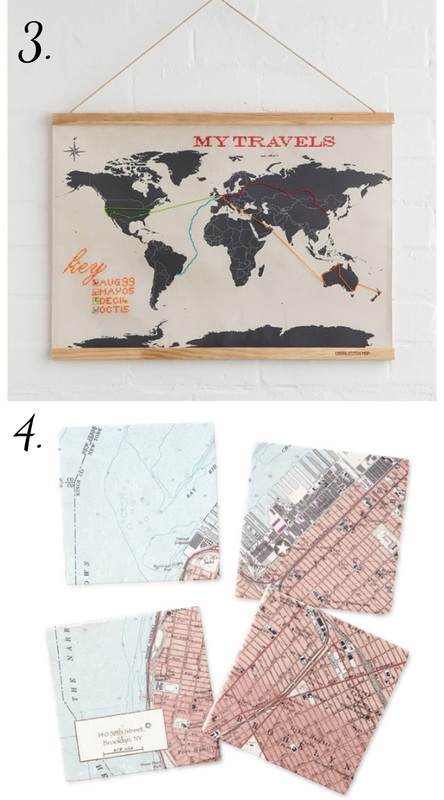 That cross stitch travel map is so cute! It's going straight to my Christmas Wish List!! I was at my mom's house the other day and she had an Uncommon Goods catalog and I wanted everything!! Such awesome stuff! This is so cool! I love finding things that you can't find in the store! Great post! I seriously want to buy several of the things that you love! That bulletin board is so adorable, and I love that you could add pictures from your travels to it. 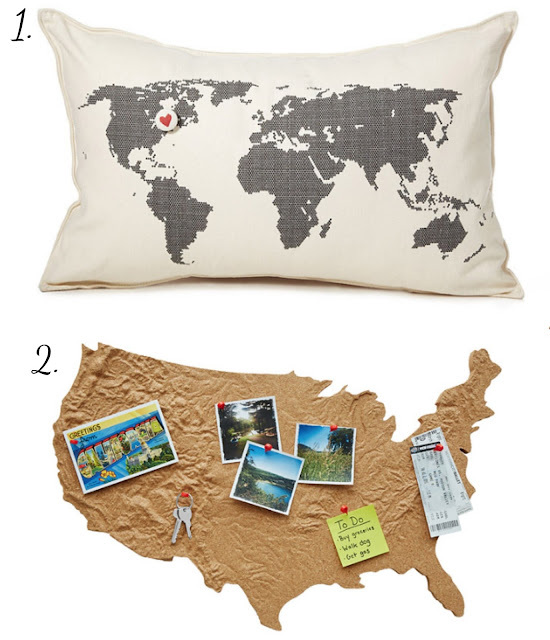 I also love that Texas pillow because anything Texas is awesome! All of the personalized items are so cute too, and really are perfect for something a little more unique for wedding gifts! I never think to look there, even though every time I see a post or something from there I love it. You're definitely right about such great and unique gift ideas too! How cool I've never heard of this but it looks like a great site! Our attendees enjoy the classic elegance of this place and we recommend the Los Angeles wedding venues to anyone looking for a sophisticated yet welcoming space, and for a staff who are passionate, accommodating and always ready to help.